Andy Charlson writes: There are various misconceptions about dating sites which are bandied about. One of the most misleading is they only exist for people who have been unable to find a partner going through the more traditional routes. Another is they purely exist for meeting up for casual encounters. The truth of the matter is, relationship sites appeal to a diverse cross-section of people, single or otherwise. For many, the whole point of sites like flirt.com is not necessarily to flirt at all. It is more about engaging with a cross-section of interesting and exciting individuals in order to widen their social circle. Where the ready communication can really come in handy is when it comes to planning a trip somewhere. This can be such an expensive activity to organize at the best of times. Travel brochures can only tell you so much about the actual state of the hotel you will be staying in, or the amenities surrounding your chosen resort. How terrific would it be to have some inside information? 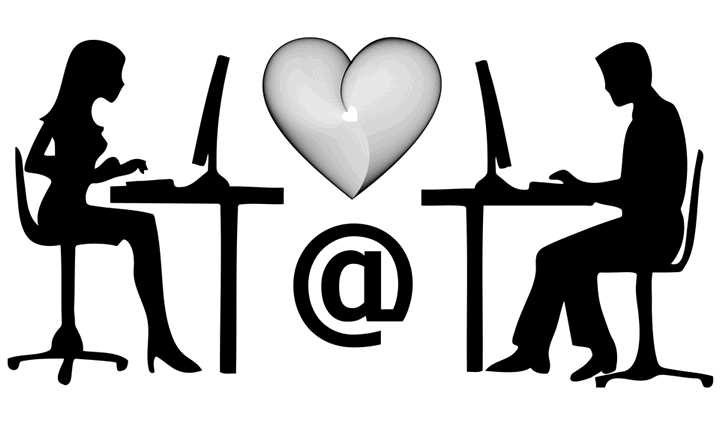 Signing up to a dating site is generally free and once you have become a member you will gain access to chat rooms. These are places which offer a completely informal environment where like-minded individuals can get together to indulge in friendly conversations. You can introduce yourself here and get to know a variety of other site users. You can begin getting familiair with them by participating in group discussions, or by posting your own topics. Over time, you will get to know a variety of people, from all walks of life. Another great aspect of Internet dating is there are no cultural or national boundaries. One minute you could be chatting to someone from France who is telling you all about the magnificent Parisien cuisine they're enjoying, the next a contact could be describing their experience of scuba-diving off the Gold Coast at the weekend. As soon as you start cultivating friendships in an online situation, you are opening up your horizons. This could be especially useful for arranging getaways. It's one thing preparing for a foreign excursion by popping into your local bookshop and grabbing a couple of guidebooks to thumb through. But it's something altogether more meaningful to tap into the first-hand knowledge of a friend who lives in that location. You can glean valuable information about resorts, especially when it comes to places of interest. No travel guide is so up-to-date it will be able to inform you of tourist landmarks having been closed due to, say, a strike. Having access to your own personal reporter on the ground would be indispensable when it came to making your travel arrangements. Another fantastic aspect of having cultivated an international friendship is the prospect of actually meeting face-to-face. Just think of the saving on time and expenses when you have your very own tour guide to hand. You could arrange to meet at the airport and from then on all the hassle traditionally associated with arriving in unfamiliar territory could be smoothed over. They would be able to take you around the tourist sites, advising you of the best ones in terms of offering value for money, or the most interesting destinations, so you're not wasting your time. But the biggest saving of all would come with your accommodation. There is every likelihood they won't hear of you booking into an expensive hotel and will insist on taking you under their wing. Knowing their goodwill will be reciprocated, they are likely to pull out all the stops when it comes to entertaining you and treating you to the finest in local dishes. For all that social media is denigrated as being an aspect of modern life which can be a drain on our spare time, it can also connect us in intriguing ways. Disclaimer: This is a Paid Advertorial. The above is a matter of opinion provided for general information purposes only and is not intended as investment advice. Information and analysis above are derived from sources and utilising methods believed to be reliable, but we cannot accept responsibility for any losses you may incur as a result of this analysis. Individuals should consult with their personal financial advisors.